Excellent minimal synth LP,by a pioneer of synth music in France. In the same place with Jeff & Jane,Dark Day and ADN Ckrystall recordings! Any chance we can get some Alien Brains or other R. Rupenus work? Here's hoping our mutant crew might upload some of the Dark Day releases, especially the "Trapped" 12-inch and/or the second album, "Window" .. 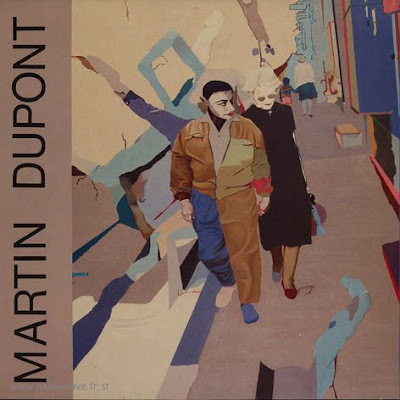 This Martin Dupont one is great! The vocals are so cool mixed in with such wicked music! Thanks for another great one! What a PITY there are two tracks where the needle was jumping (Just Because & Under Nylon) - could you rip those again? Thanks!!!!! Thanks for your nice works ! man i have been looking for this for ages, but it looks like i was too late! anychance of reuploading this?